If you think about this saying, it may be really true. In the world of business, having a team is essential for us to reach our goals. 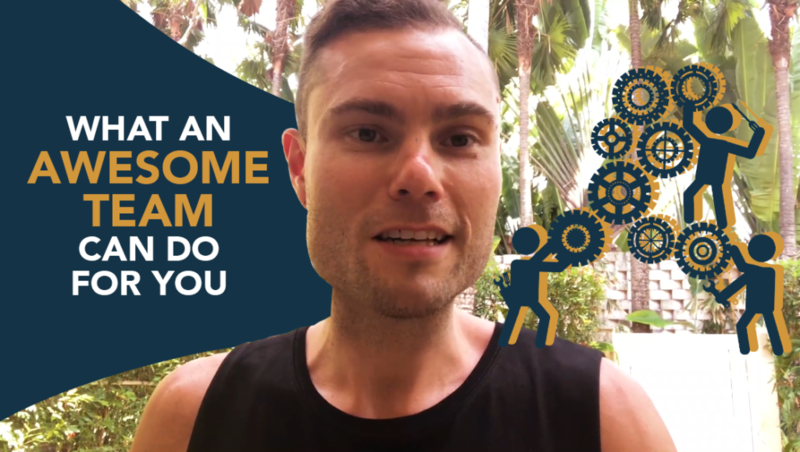 At first, you may think, you will be sharing the profit you'll be earning, but if you think about the pros and cons of it, it’s better to be working with a group of people than just yourself. Though it may be hard to build a team at first, it’s much better when there are more heads together. When starting a business, you might not be able to do everything alone. Of course, like any other project, you’ll be needing a lot of helping hands in the process. You would require people to do some tasks, book some meetings, be in charge of some canvassing, and other related duties. That’s why you’ll be needing a team. In business, having a team is helpful because it saves you more time, not just for you as the business leader, but for your colleagues as well. If you plan to start a business soon, you have to keep in mind that as much as you would want profit all to yourself, you might achieve your goals faster if you’re working with efficient, reliable, and the right people. In this way, there are more bodies moving; thus, more milestones achieved. In a business, if you’re working with a team, things get done faster. With this, your company can save time, and your team can be more productive. Imagine having to set 10 meetings in a week, and you’re all alone? But if you’re working in a team of 5, you’d finish that long, long to-do list in no time! Besides this, you also get the best out of each other because you're working at your maximum possible efficiency. Not only does your team value time, but you also learn to maximise your potentials to achieve productivity and excellence. With time management, working in teams also help you practice proper work division. With the same example, if in a week you have to set meetings, do ocular visits for an event, and contact some product suppliers, wouldn’t you have a harder time doing it alone? If you’re in a team, you can divide tasks depending on each one’s schedule and strengths, so you can get the job done easier and faster. Work division is essential so that you don’t bombard one member with a lot of tasks, and allow another to float around and do the least things. This division also practices good work dynamics because you’re able to learn how to synchronise with everyone, especially if you’re trying to meet a quota or a deadline at hand. As what people would say, “Heads together!”. Working in a team can be an avenue for you and your company to come up with creative and innovative ideas. With many creative imaginations working all at once, it’s much more possible for you to achieve a desired plan or outcome. Working in teams also help develop team members’ flexibility regarding enhancing and improving an existing idea. If for example as a team leader, you can open a particular topic as an idea, your other team members can share different ideas and suggestions to improve the already-existing idea. With this, the main topic continues to develop until the whole board is satisfied with the outcome. What a way to turn plans into realities, right? Having teams would mean that there are a lot of personalities working together. With this, there is a lot of room for ‘specialisation’. In what sense? Well, if in a team, the members come from different backgrounds, this means there are multiple perspectives present. If you’re planning to come up with a project proposal, and your team members come from different fields, there’s a whole better chance that your plan would be flexible in terms of execution since people coming from different fields can brainstorm around it. Another thing with this is that when you’re designating tasks, team members coming from backgrounds which are more inclined to the responsibility can be in-charge of that, so you’re more assured that the job will be well done. Diversity isn’t necessarily a recipe for disaster; rather, it can be the different spices to a perfect dish. Like any other ‘group work’, may it be in business or even in simple academic group works, teaming up with people you don’t know maybe strange and awkward at first. But as soon as you all learn to warm up with each other, it’s safe to assume that you’ll all feel like a family in no time. In business, your team members may be 'just' officemates when inside the workplace. But outside of the office hours, you are friends after all. Working as a team is helpful because you get to have an additional set of friends, a support group you can relate and rely on, and a whole new family in the end. Knowing how to run a business is essential because it doesn’t just affect you but your colleagues as well. You have to understand how to build their experience so that you can enjoy life experiences for yourself too! In business, team building matters because they can help you achieve the utmost potential of your company, and at the same time, you can be at peace even when you take a holiday vacation, the business will continue running. Building a team can be challenging at first. As a team leader, it all requires some patience and proper leadership to ensure you maximise the potentials of each one and they maintain their loyalty in you. Be on the know on how to build an efficient team who can help you run your business even when you’re not around. If it does, that’s when you’ll know that you’ve succeeded in building and leading your team. For more information on how to choose the right team member for your team, go here.